November | 2013 | mmmmbike! 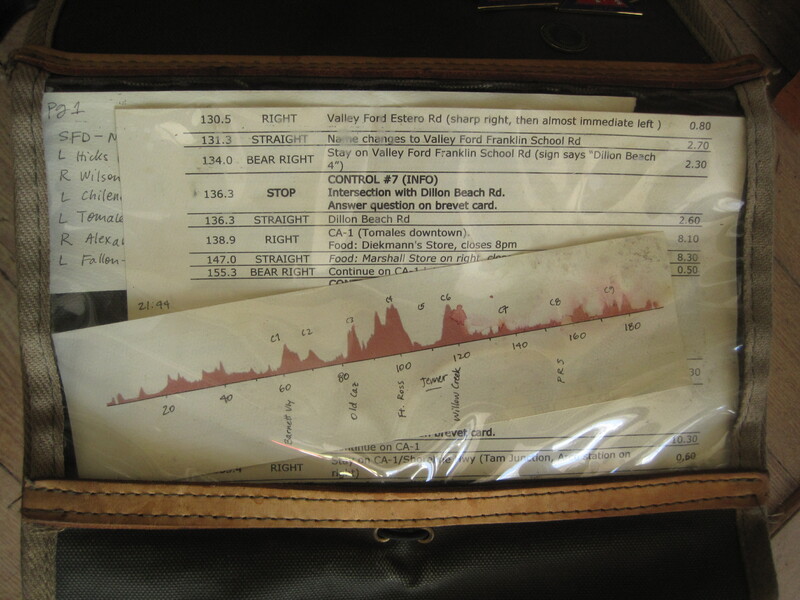 I was very happy to be able to ride this unusual brevet held each year at night. 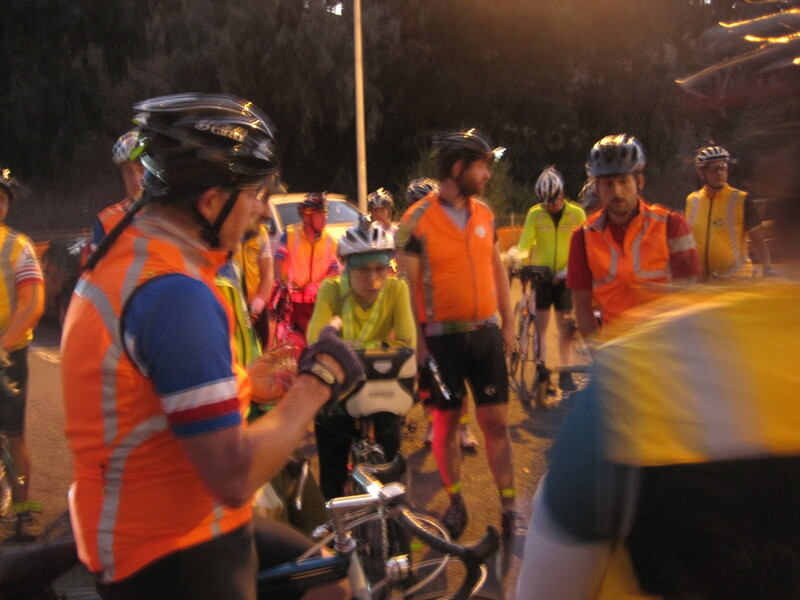 It begins in the evening and takes riders through quiet rural roads from just north of Berkeley to Davis (ouside Sacramento) and back. In my preparations I got a little nervous when I realized that all the Google Streetview pictures of the intersections were taken during the day–what if I didn’t recognize them at night? It’s not easy to read a cue sheet in the dark, either, nor my poorly-backlit cheapo odometer. 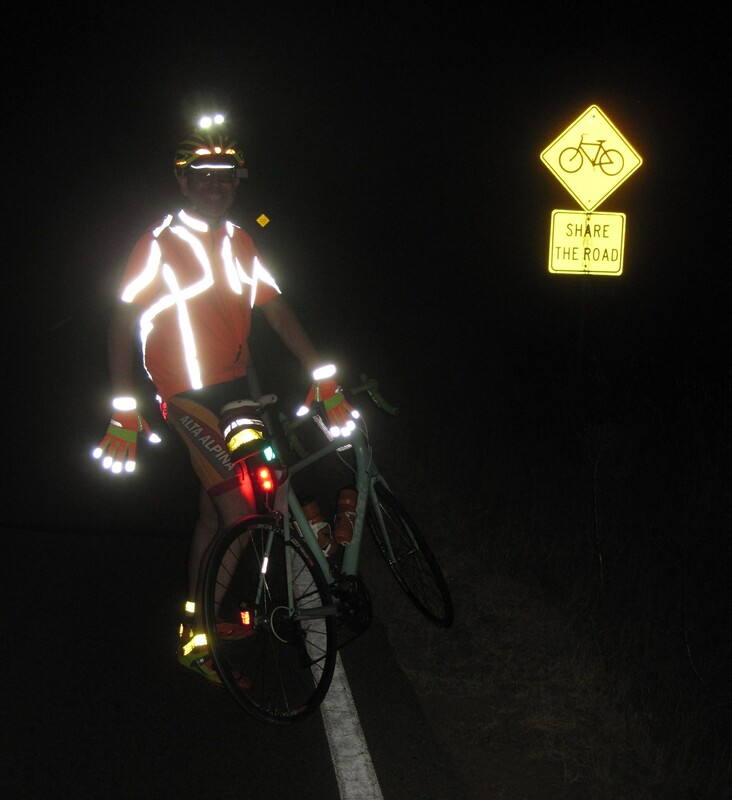 I think that getting lost, and riding alone in the dark (cyclists are more visible to cars and trucks when in groups) topped my list of anxieties about this ride. 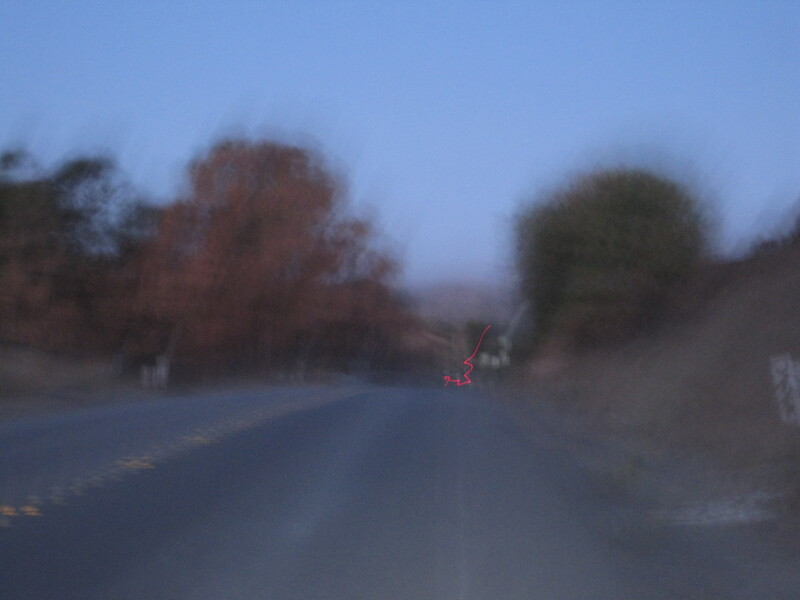 Well, as usually happens on these ride thingies often called brevets, my worst fears end up being answered with a resounding call to stop worrying. My primary riding companion was none other than the King of Conspicuity, Jack Moonbeam! 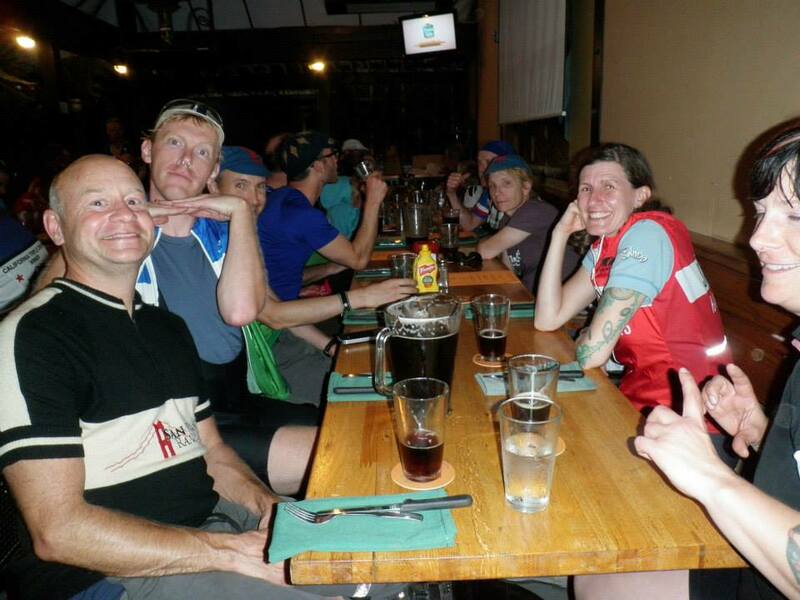 Jack earned his title last year by volunteering to sew 4″ wide strips of orange or yellow retroreflective material on the wind vests and jackets of many grateful randonneurs. He also has given informative talks on the importance of being visible in traffic, and it seems to be an idea that is gaining ground among us. 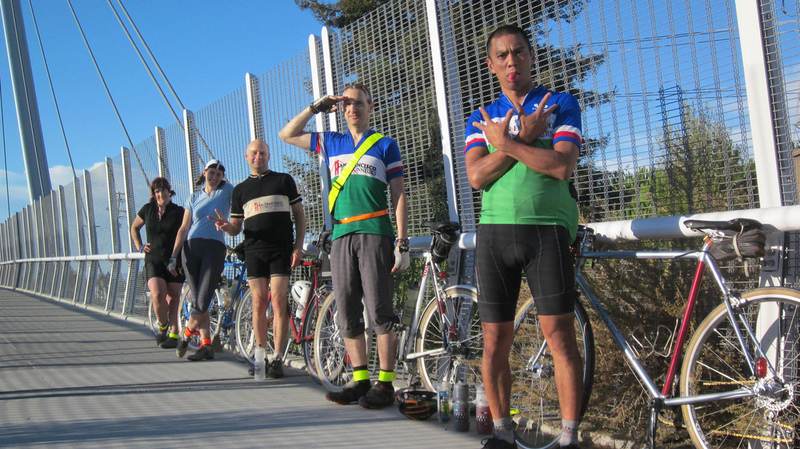 Several randonneurs have publicly admitted to wondering “What would Jack Moonbeam do?” when choosing their bike attire when randonneuring or commuting. So, you can imagine the peace of mind I felt upon running across Mr. Moonbeam! I also assumed (though incorrectly) that he knew where we were going. 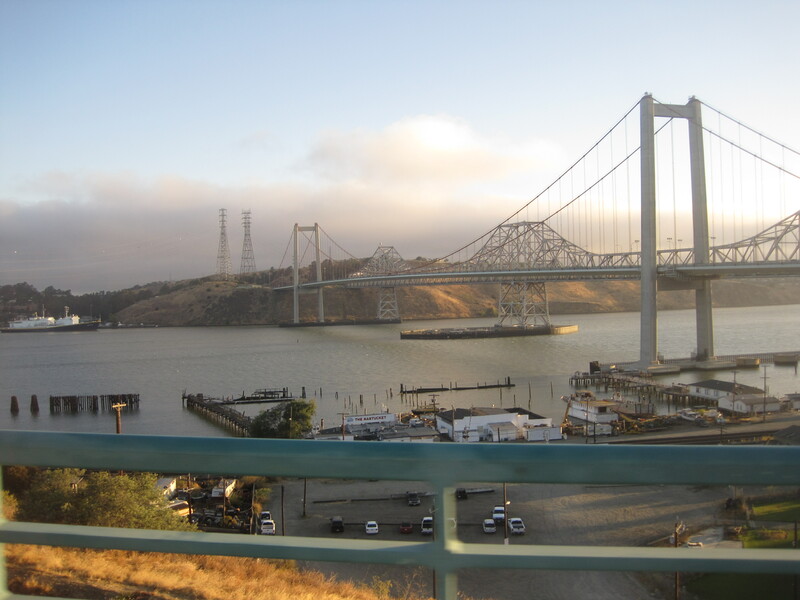 In any case, between the two of us and more we gathered along the way, we had a grand time reaching our destination of Davis and heading back as well. 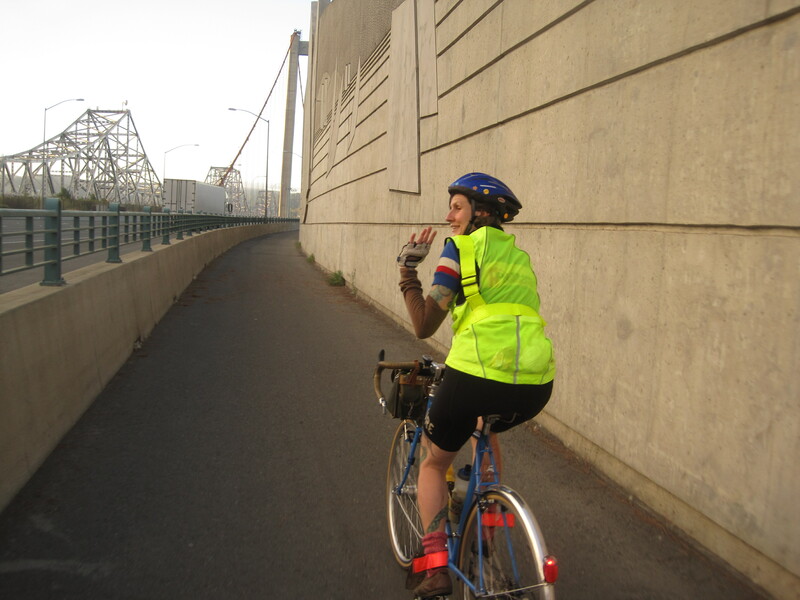 On this stretch, I saw a rider stop far ahead and tell us later a raccoon ran between his front fender and his pedal! Several miles later, a stray dog ran out from the roadside, inches from my front wheel. I think my blood curdling scream may have scared Jack more than the dog scared me… sorry Jack. 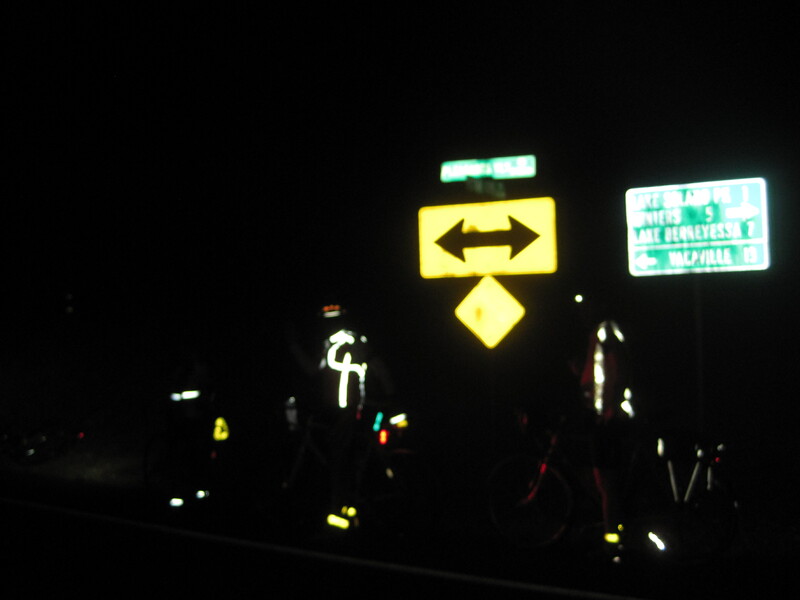 Bob P, Mark B, and Jack M : circa 5:15 am, Cordelia Denny’s… is that un maillot Alex Singer? 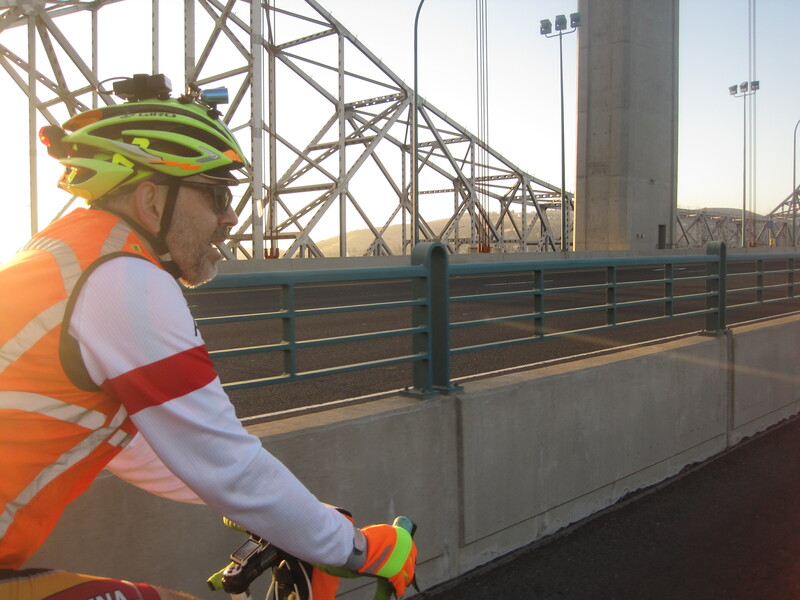 Back on the bridge; I didn’t think my vest would pass the Moonbeam test, but Jack approved. We made it! Thank you Jack Moonbeam. That’s a very stylie Singer maillot. 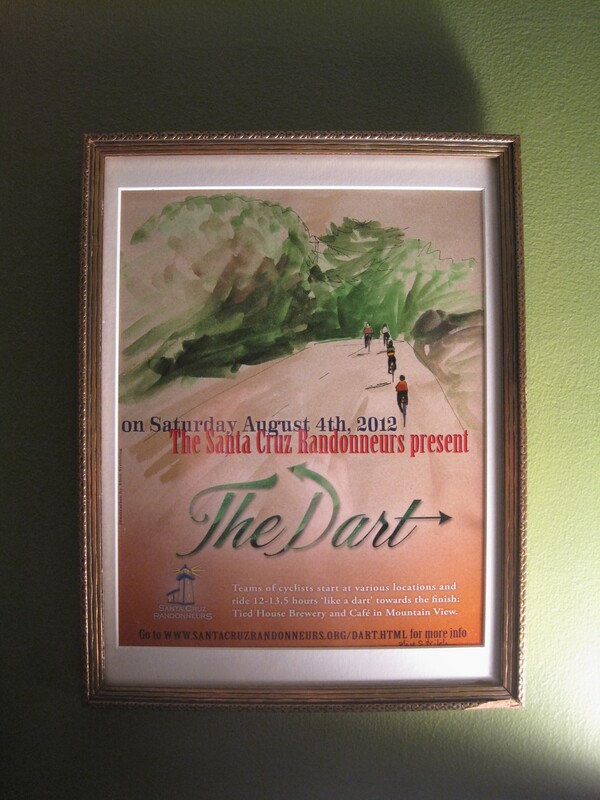 The Santa Cruz Randonneurs’ Dart event was the highlight of my 2012 riding year. 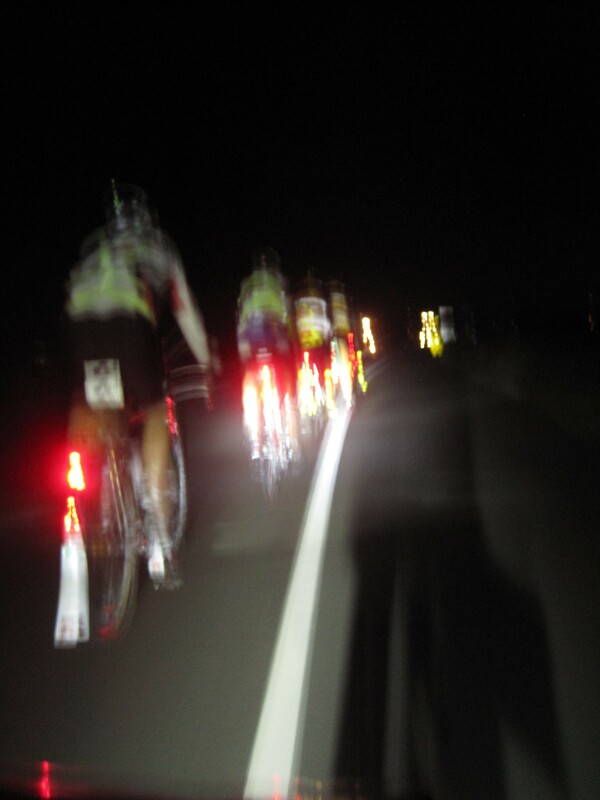 (A Dart is a 200k team event similar to a flèche, but it is shorter, and teams do not ride through the night.) The finish control dinner was held at the Tied House in Mountain View, with great food, beer, and company. It’s a large enough venue that all teams could show up at more or less the same time and all sit down together to eat, drink, and swap stories. To commemorate the occasion, the Dart organizer commissioned this poster from a fellow randonneure who also happens to be a very talented artist. This year, I would be sure to participate. John had been trying to arrange a way to get several teams together on the same route, yet with slightly different start times, so we could have a big movable party along the way, but we couldn’t get enough people together for it. I thought it was a brilliant idea, one I hope someone uses sometime! But for this year, John assembled just one team, comprised of everyone from last year’s team except Heath–replaced by the creator of the above poster: Alice Stribling! It was fun to get the chance to ride with all of them. 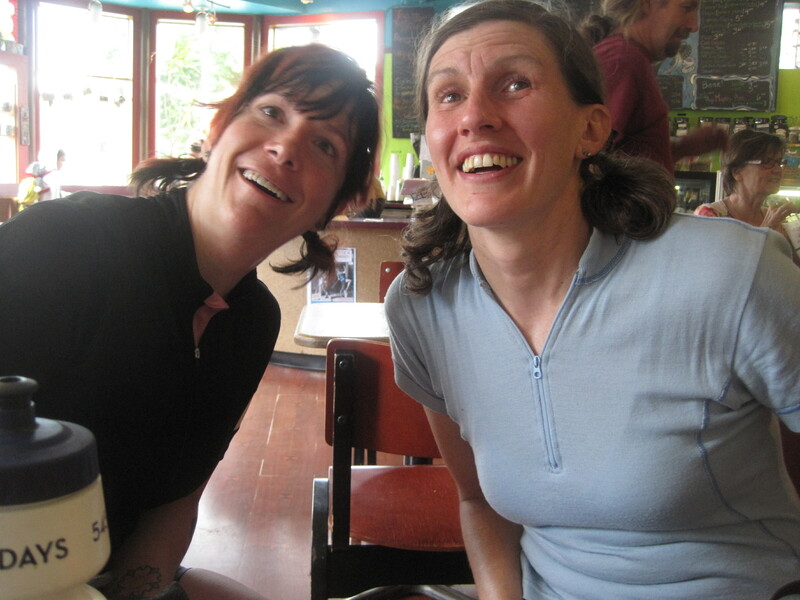 I haven’t been able to ride with Ely or Jim too much, since both have young families. 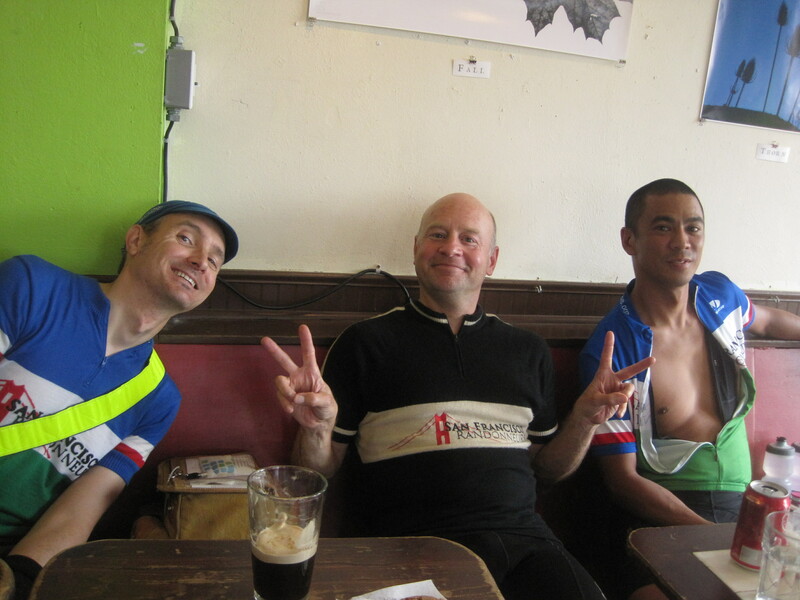 Despite Jim’s pre-ride moaning about his lack of being in shape, I was pretty impressed with how he rode. 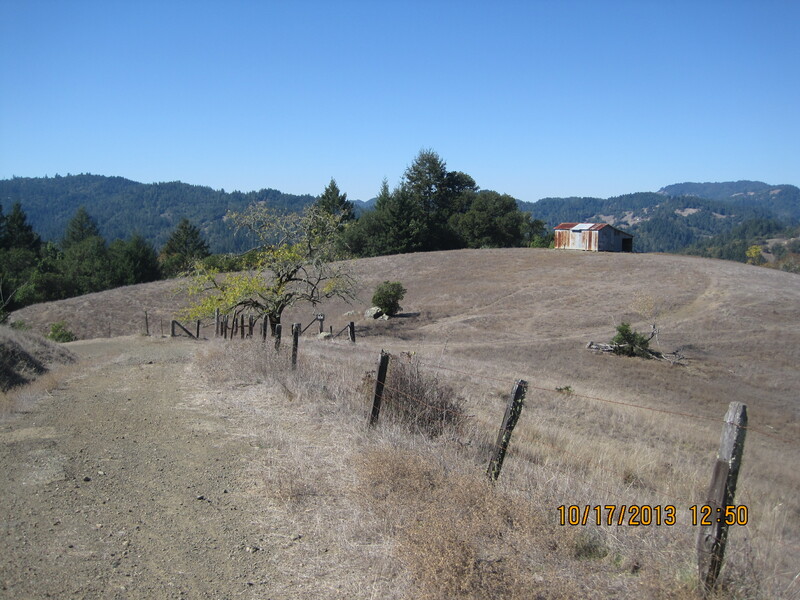 The weather was slightly cloudy for most of the morning, though it cleared up later on the climb up Soquel-San Jose Road. We used the same route as last year, Jesse Marsh’s Coastal Cruz permanent. 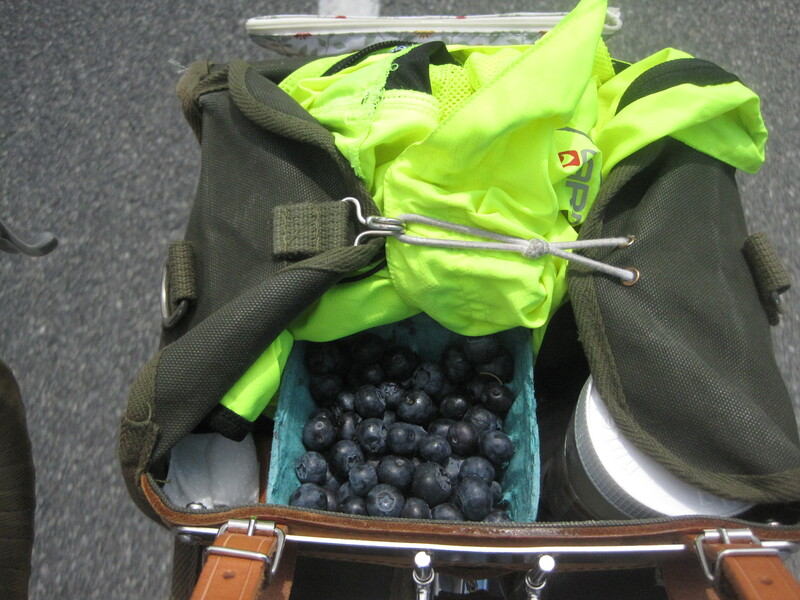 There was a very unfortunate bike crash near the city limit sign: a woman had gone over the railroad tracks at the wrong angle, gotten her wheel stuck, and flipped (according to the blueberry vendors); then, unable to find assistance in Davenport, she got back on her bike to go back the way she came and tripped over the tracks a second time. Agghhh we saw her being loaded into an ambulance as we passed (she still seemed conscious), and the guys at the fruit table spilled the whole story to me as they gave me testers of the honey they were selling. Alice had just taken a dive in SF due to some misplaced railroad tracks, so I’m sure it gave her extra shivers. The weather was even nicer than last year, a bit more sunny but about the same temperature. Typical coastline views made me think that the SCR strategy of placing most of its brevet routes along CA1 is not such a bad idea after all. You can’t take riding too seriously… If you do, it could drive you crazy! 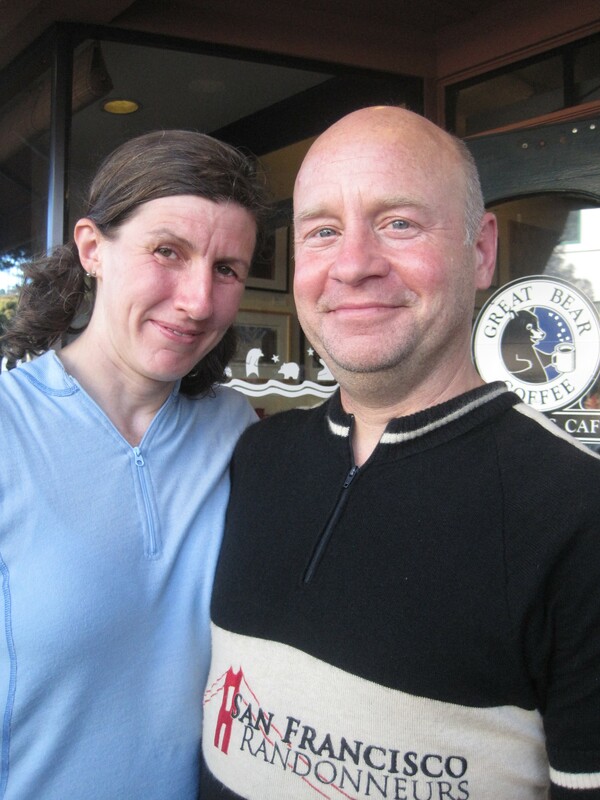 After leaving our old haunt The Ugly Mug cafe in Soquel, we began The Climb. 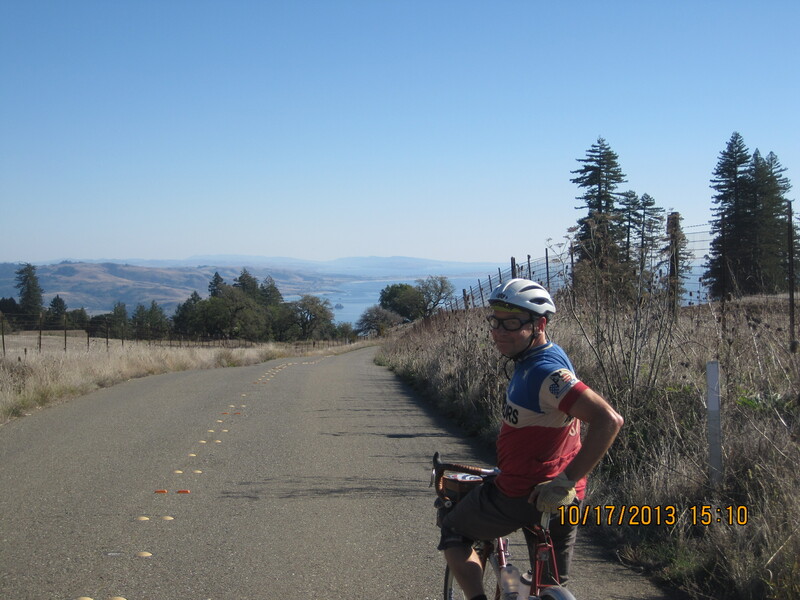 This is the longest climb of the route, an elevation gain of about 1600 feet in ten miles. I started off with my team, Jim taking the lead, and Senor Captain dropping back. 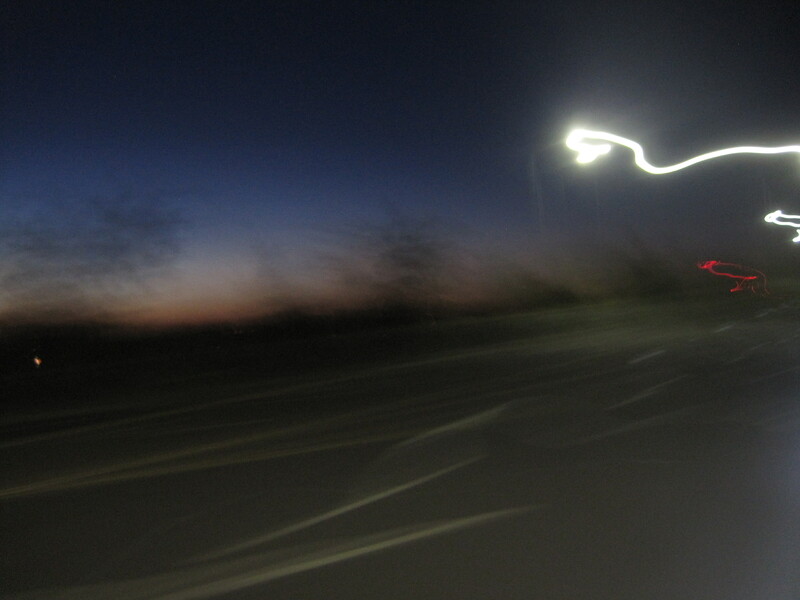 I just kept riding at my own pace. 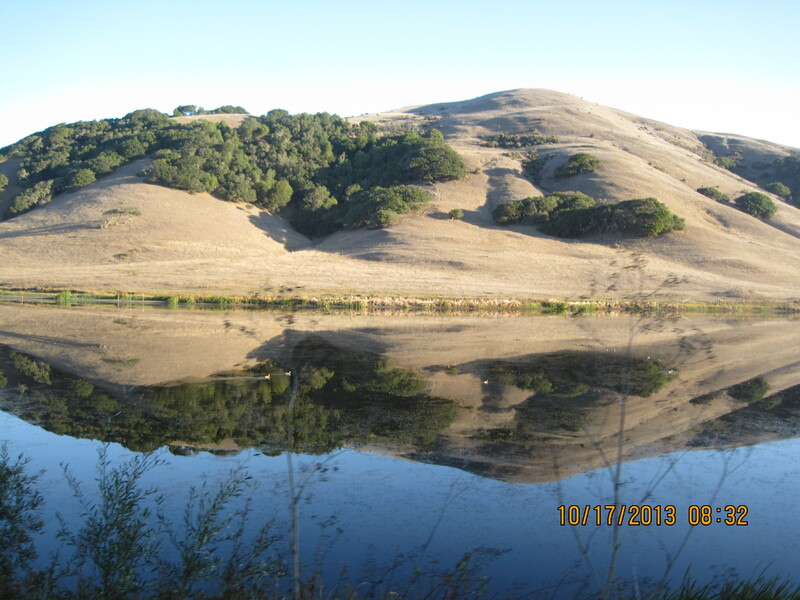 I caught up with Jim and we agreed to stop and catch our breath at Stetson Road, about seven miles in. Soquel-San Jose Road is shaded through most of the way, but it was a hot day. The rest of our team were nowhere to be seen, but we figured we’d all collect ourselves at the Summit Store. Climbing pain…elevation gained. We heart Summit Store! We did! 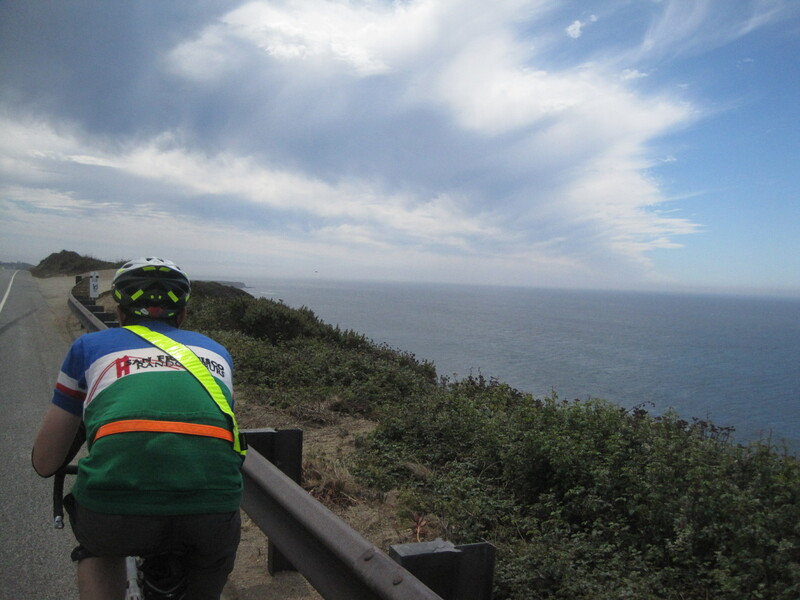 It is truly all downhill from there, so we savored the beautiful downhill stretch of the Old Santa Cruz Highway. 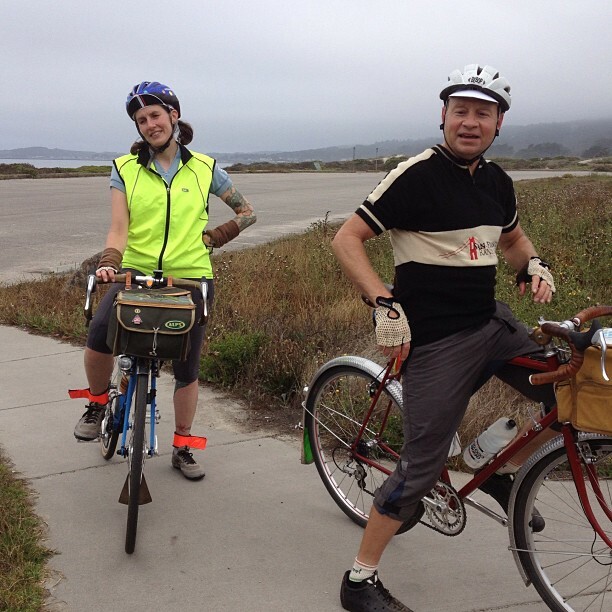 Alice, Jim, Ely, and I all took the bike handling skills classes last year, and I still constantly think about putting into practice good cornering and handling techniques. 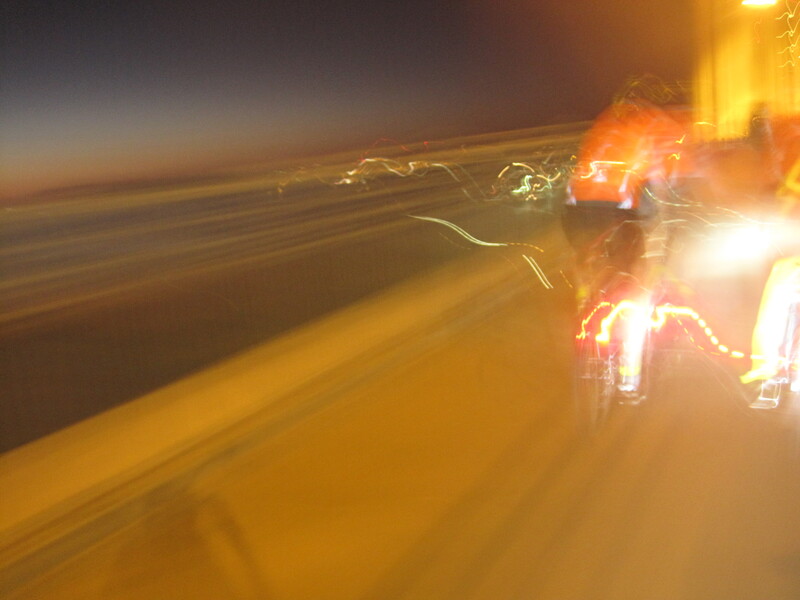 I love how my bike handles descents… like buttercream frosting. mmmm. Not too much later I got to eat some buttercream frosting at Great Bear Coffee in Los Gatos at our penultimate control. 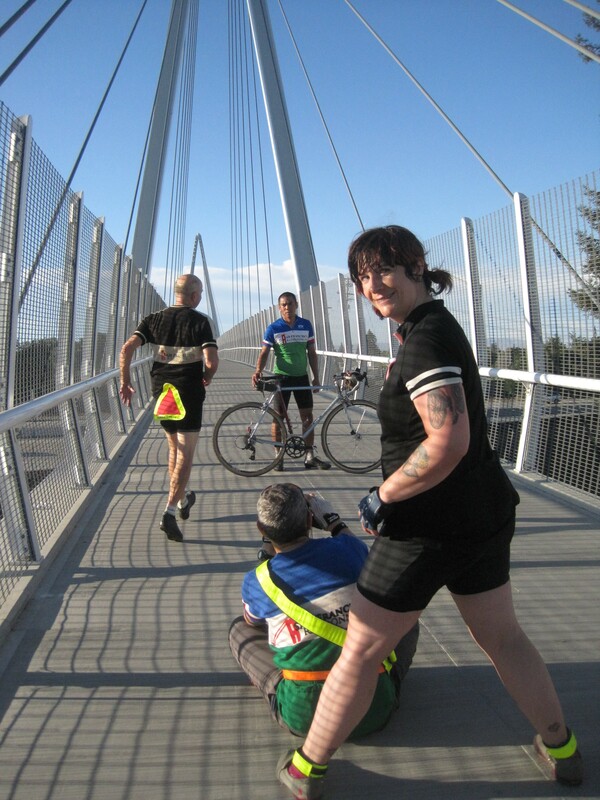 When it was time to leave Great Bear, we wound our way through the odd Silicon Valley suburbs to the beautiful Mary Avenue Bike Bridge and took some glam shots of ourselves and our bikes. 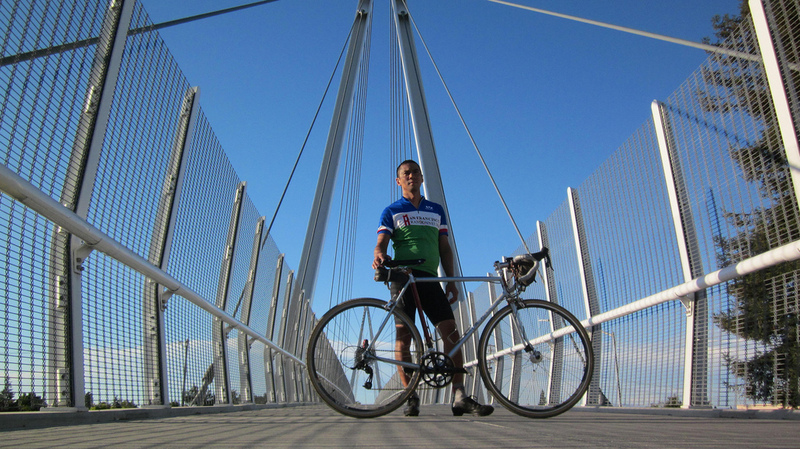 Another biketastic California day thanks to the Santa Cruz Randonneurs. John and I got wind vests from the SCR group order to remember how happy we are they put on the summer Dart. Next year they’ll be holding the Central Coast 1000k/1200k instead. Will this be my first 1200 or 1000k? Only time and mmmmbike will tell.